Author Robyn Carr is on my auto buy list. Always will be. I trust her as a romance writer. She is one of the best! 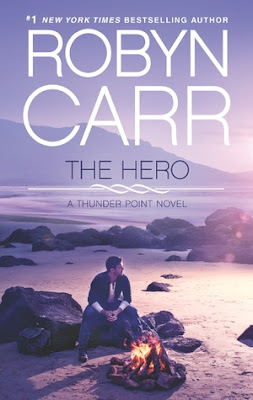 I thought I loved her Virgin River series more than anything but her new Thunder Point series is totally my favourite! There is just something about life at the beach that speaks to me. I love how these books show real people, real problems and real love. I also love how we are getting several people's story within one book. It is as if we are catching glimpses into the whole town. I get emotionally invested with everyone's stories. They are real to me. Is that weird? The writing is just so good it is as if they are. If I could, I'd live in thunder Point! I'm so glad that I have several books to look forward to!! This is a series that I don't want to end any time soon. The cover sold me. EASY.